Major political parties: Front de Liberation Nationale (FLN), Rassemblement Nationale Democratique (RND), Front des Forces Socialistes (FFS), Rassemblement pour la Culture et la Democratie (RCD), Mouvement de la Societe pour la Paix (MSP), Mouvement de la Réforme Nationale (el-Islah) (MRN) and Parti des Travailleurs (PT). Major Industries: Petroleum, natural gas, light industries, mining, electrical, petrochemical, food processing, security, construction, pharmaceuticals and agribusiness. The original inhabitants of Algeria were the Berbers. In the classical period the country was colonised by the Phoenicians and by the Romans. The Arabs arrived in the 8th and 11th Centuries introducing Islam. Moors and Jews settled in Algeria following their expulsion from Spain in 1492. In 1518 the country became an integral part of the Ottoman Empire. In 1830 Algeria was annexed and colonised by the French and ruled as part of metropolitan France from 1848 to 1962. A bitter war of independence was fought between 1954 and 1962, which claimed the lives of up to 1.5 million people. From independence in 1963 until the late 1980s Algeria was a one-party socialist state run by the FLN (National Liberation Front). In 1989 the constitution was amended to introduce a multi-party system. Algeria is active internationally, taking a leading role on developing world issues and acting as a champion for independence movements. Algeria has also been active in the UN - it was elected to the Security Council for 2004-5 - as well as being a prominent member of the Non-Aligned Movement (NAM), the African Union (AU) and the Arab League. Algeria sits on the steering committee of the New Partnership for Africa's Development Initiative (NEPAD) and participates in the Peer Review Mechanism. Algeria signed an Association Agreement with the European Union (EU) in April 2002, under which Algeria undertook to open its markets over the following 12 years. The United Kingdom ratified the Agreement on 1 March 2004, one of the first member states to do so. The Agreement came into force on 1 September 2005 with the first Council meeting taking place in May 2006. Algeria’s relations with its neighbour Morocco have long been strained, particularly over the issue of Western Sahara. The Algeria-Morocco border has been closed since 1994. The Polisario Front, who claim to represent the population of Western Sahara and are campaigning for self-determination, are based in Tindouf in western Algeria. Algeria supports calls for a referendum on self-determination in Western Sahara. Diplomatic efforts to find a solution regarding the sovereignty of Western Sahara are ongoing within the UN. The UK supports the efforts of the UN Secretary General to find a political solution to the dispute that will provide for the self-determination of the people of Western Sahara. The UK has full diplomatic relations with Algeria. Algeria is represented in London by His Excellency Mr Amar Abba. Our Ambassador to Algeria is His Excellency Mr Martyn Roper. In 2006 the UK and Algeria signed a Memorandum of Understanding establishing a bilateral ministerial committee, the UK-Algeria Joint Committee on Bilateral Relations. The Committee provides a framework for political dialogue between the two countries, meeting annually to discuss political, economic, educational, cultural and international issues. The first meeting of the Committee took place in June 2006 in Algiers, co-chaired by FCO Minister Dr Kim Howells and Abdelkader Messahel, the Algerian Minister for Maghreb and African Affairs. There have been four subsequent meetings, the latest of which was held in Algiers on 5 April 2011 and co-chaired by Abdelkader Messahel and Alistair Burt, Parliamentary Under Secretary of State for the Foreign and Commonwealth Office. During the visit to the UK of President Bouteflika in July 2006 the Home Secretary and the Algerian Minister of Justice signed four treaties on judicial co-operation. The treaties covered Extradition, Mutual Legal Assistance in Criminal Matters, Judicial Co-operation in Civil and Commercial Matters, and the Readmission and Circulation of Persons. Also in 2006 the then British Prime Minister, Tony Blair, and the Algerian President signed an Exchange of Letters which formed the basis of our Deportations with Assurances co-operation. -- Dr Hamid Temmar, then Minister for Industry and the Promotion of Investment, visited the UK in April 2010 for bilateral talks on trade and economic issues. -- Dr Chakib Khelil, then Minister of Energy and Mines, visited the UK in March 2010 for bilateral energy talks. -- Mr Abdelkader Messahel, Minister for Maghreb and African Affairs co-chaired the 4th UK-Algeria Joint Committee on Bilateral Relations in March 2010 in London. -- Dr Hamid Temmar,then Minister for Industry and the Promotion of Investment, visited the UK in November 2008 to co-chair a UK/Algeria Trade and Investment Conference and for bilateral talks. -- Mr Abdelkader Messahel, Minister for Maghreb and African Affairs visited the UK in July 2007 for the second round of the UK-Algeria Joint Committee on Bilateral Relations. -- President Bouteflika visited the UK in July 2006. This was the first official visit by a President of Algeria since Independence in 1962. During the visit he met Her Majesty The Queen, had talks with the Prime Minister and met UK business leaders. He was accompanied by Ministers for Foreign Affairs, Justice, Energy and Mines, Participation and Investment Promotion and Financial Reform. -- President Bouteflika attended the discussions on Africa at the G8 Summit at Gleneagles in July 2005. -- Lord Marland, Parliamentary Under Secretary of State for Energy and Climate Change visited Algiers in January 2012. -- Lord Howell, FCO Minister of State at the Foreign and Commonwealth Office, visited Algiers in November 2011. -- William Hague, Foreign Secretary visited Algiers in October 2011. -- Alistair Burt attended the 5th round of the UK-Algeria Joint Committee on Bilateral Relations in Algiers on 5 April 2011. -- Alistair Burt, Parliamentary Under Secretary of State at the Foreign and Commonwealth Office visited Algiers in November 2010. -- Susan Haird, Deputy Chief Executive of UK Trade and Investment visited Algiers in September 2010. -- Simon Fraser, Permanent Under Secretary at the Foreign & Commonwealth Office and Head of the UK Diplomatic Service visited Algiers in September 2010. -- The First Sea Lord, Sir Mark Stanhope, visited Algeria in May 2010, to coincide with a visit by HMS Lancaster. -- General Robin Searby led a delegation to Algeria for bilateral counter-terrorism talks in March 2010. The Algerian President’s Special Representative, Rezag Barra, co-chaired the talks. -- Bob Ainsworth, then Secretary of State for Defence, visited in October 2009 and signed a bilateral defence accord designed to strengthen military-to-military contacts. -- HRH The Duke of York visited in May 2009 in his capacity as the UK’s Special Representative for International Trade & Investment. HRH also opened the new British Embassy building in Algiers during his visit. -- Lord Davies, then FCO Minister for Trade, Investment & Business, visited Algiers in March 2009. Bill Rammell, then FCO Minister responsible for relations with North Africa, visited Algiers in November 2008. -- HRH The Duke of York visited in November 2007 in his capacity as the UK’s Special Representative for International Trade & Investment. Dr Howells, then FCO Minister responsible for North Africa, visited Algiers in June 2006. 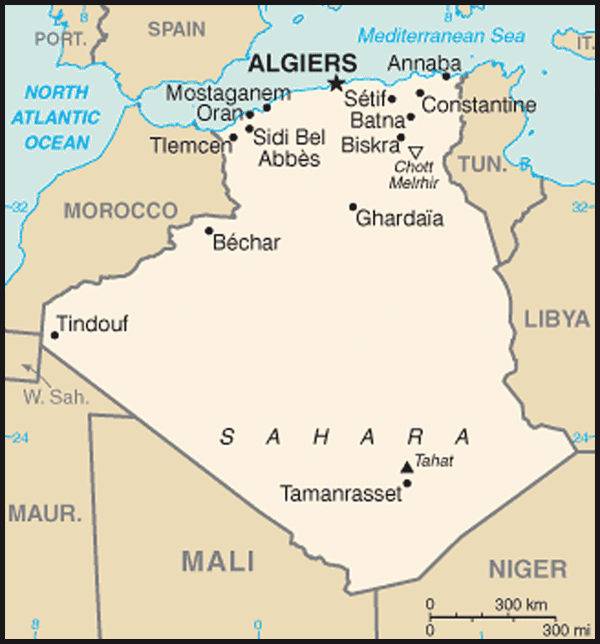 Algeria is in North Africa, bordering the Mediterranean Sea between Morocco and Tunisia. 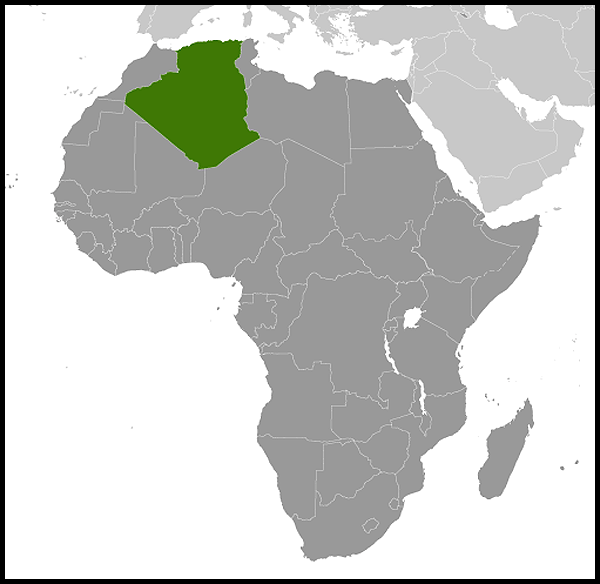 In the South it has frontiers with Libya, Mali, Mauritania and Niger. It is the second largest country in Africa (becoming the largest when South Sudan secedes from North Sudan). Over four fifths of its territory is covered by the Sahara desert. Business relations between Algeria and the UK continue to strengthen and the Algerian Government has expressed a keen interest in doing business with the UK. UK exports to Algeria have more than doubled in the last five years; in 2010 they increased by 6% on the previous year to £345m. The UK is also one of the largest sources of FDI in Algeria from EU Member States, investing $115m in 2008. The UK traditionally has been strong in the oil and gas sector with all the major British companies present (BP, Shell, BG, BHPBilliton). The UK continues to increase its presence in other sectors, including pharmaceuticals (GSK, AstraZeneca), financial and professional services (HSBC, BACB, UIB, MooreStephens, Regus), security (G4S, Control Risks), education (Linguaphone, Language Solutions) and retail (Unilever, BAT). Algeria is perceived as a difficult market for first-time exporters given the bureaucracy but with a little preparation and advice, it should be possible to successfully understand the market. Experienced exporters with a good product to offer should be able to access the Algeria market relatively easily provided the opportunities are right and the price is competitive. In the 1960s and 70s under President Houari Boumediene, Algeria pursued a programme of industrialisation within a state-controlled socialist economy. Boumediene’s successor, Chadli Bendjedid, introduced some liberal economic reforms and prosecuted a policy of Arabisation in Algerian society and public life. Teachers of Arabic, brought in from other Muslim countries, spread radical Islamic thought in schools and sowed the seeds of political Islamism. Economic recession caused by the crash in world oil prices resulting in social unrest during the 1980s and ultimately forced Bendjedid to bring in a multi-party system at the end of the decade. Political parties developed such as the Front Islamique du Salut (FIS), a broad coalition of Islamist groups. In December 1991 the FIS dominated the first of two rounds of legislative elections. 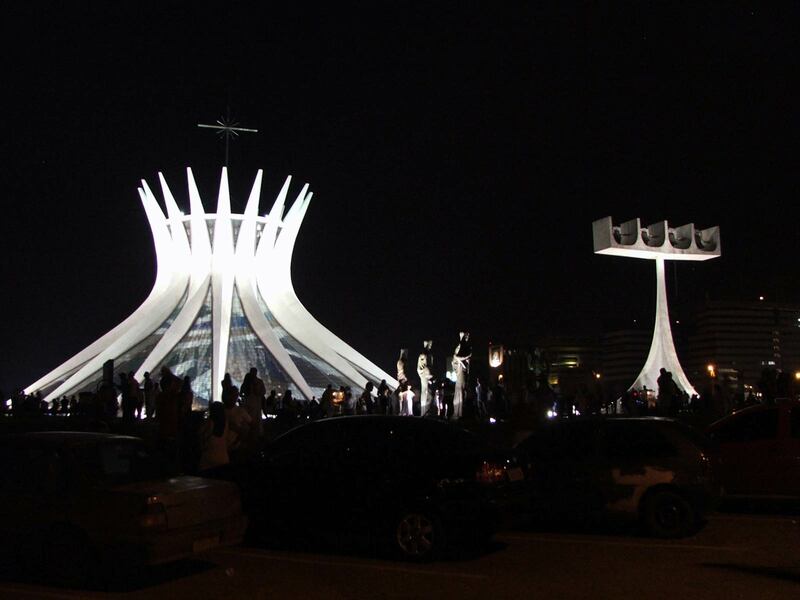 Fearing the election of an Islamist Government, the authorities intervened on 11 January 1992, cancelling the elections. President Chadli Bendjedid resigned and a High Council of State was installed to act as Presidency. The FIS was subsequently banned, triggering a vicious civil insurgency between its armed wing, the Groupe d’Armée Islamique (GIA), and the armed forces in which over 100,000 are thought to have died. The GIA declared a ceasefire in October 1997. Algeria held elections in 1999, which were won by President Abdelaziz Bouteflika. Bouteflika focused on restoring stability to the country following his election and announced a ‘Civil Concord’ initiative, approved by popular referendum, under which many political prisoners were pardoned, and several thousand members of armed groups were granted exemption from prosecution under a limited amnesty which was in force up to 13 January 2000. The AIS disbanded and levels of insurgent violence fell rapidly. The Groupe Salafiste pour la Prédication et le Combat (GSPC), a splinter group of the Group Islamic Armée, continued a terrorist campaign against the Government. President Bouteflika was re-elected in April 2004 after campaigning on a programme of national reconciliation. The programme comprised economic, institutional, political and social reform to modernise the country, raise living standards and tackle the causes of alienation. It also included a second amnesty initiative, the Charter for Peace & National Reconciliation, which was approved in a referendum in September 2005 and offers an amnesty to most guerrillas and Government security forces. In November 2008 the Algerian Constitution was amended following a vote in Parliament, which removed the two-term limit on Presidential incumbents. This change enabled President Bouteflika to stand for re-election in the 2009 Presidential elections and he was subsequently re-elected in April 2009 During his election campaign and following his re-election President Bouteflika promised to extend the programme of national reconciliation and a $150 billion spending programme to create three million new jobs, the construction of one million new housing units and to continue public sector and infrastructure modernisation programmes. In April 2011, President Bouteflika promised further Constitutional and political reform. The President is elected by a popular vote for a five-year term. The last presidential election was held on 9 April 2009. Abdelaziz Bouteflika was re-elected for a third term with 85% of the vote. Turnout was around 75%. Five other candidates stood, including a female candidate. Legislative elections were last held on 17 May 2007. Turnout was believed to be 35.65%. The ruling coalition won 249 of the 389 seats in the lower house (APN). The majority party FLN won 139, RND 61 and MSP 52. Consequently, FLN have 63 fewer seats in the new parliament, and RND and MSP 14 more each. The former head of Government, Abdelaziz Belkhadem proposed changes to the constitution which would allow President Bouteflika to run for a third term in office when his present mandate expired in 2009. The proposed change was put to Parliament on 12 November and won overwhelming approval. Municipal elections were last held on 29 November 2007. These two elections were to elect candidates to the Wilaya (state) level Assembly, the 'Assemblee Popular de Wilaya' (APW), and the commune (county) level Assembly, the 'Assemblee Popular Comunale' (APC). Taken as average across both elections, and according to official figures, the ‘Front de Liberation Nationale’ (FLN) retained the largest number of seats of any one party, winning approximately 31% of the vote. The ‘Rassemblement National Democratique’ (RND) came second with around 23%, a gain on the FLN since 2002. The Movement Pour la Societe de la Paix (MSP) and the ‘Front Nationale Algerien’ (FNA) came a close third and fourth. Between them the FLN, the RND and the MSP make up the ruling Presidential coalition. The ‘Front des Forces Socialistes’ (FFS), one of the Kabylie-based parties to stand, won around 3.5% of votes. The official level of voter turnout was put at just under 44%, which was slightly down on the 50% recorded in 2002. In 2002 the FLN won around 34.6% of the vote, the RND 17.5% and the two main Islamic parties polled 22.7% between them. The FFS got 2.7% overall. There have been significant developments since the end of the troubles in the 1990s. In 2009 Algeria participated in the Human Rights Council’s Universal Periodic Review. The UK welcomed the contribution of the Government of Algeria to this review and noted the progress it has made to strengthen the rule of law, e.g. the criminalisation of torture, human rights training for police officers and improving standards in prisons. A de facto moratorium on the death penalty has been in place since 1993. On 10 June 2008 the Human Rights Council formally adopted its report on Algeria. Some 45 countries took part in the review, making a total of 20 recommendations. Algeria accepted 17 recommendations ranging from strengthening gender mainstreaming to adopting further measures on violence against children. Algeria accepted UK recommendations, including on co-operation with special rapporteurs. There was a successful visit to Algiers in April 2011 by the UN Special Rapporteur on Freedom of Opinion and Expression following an invitation from the Algerian Authorities.